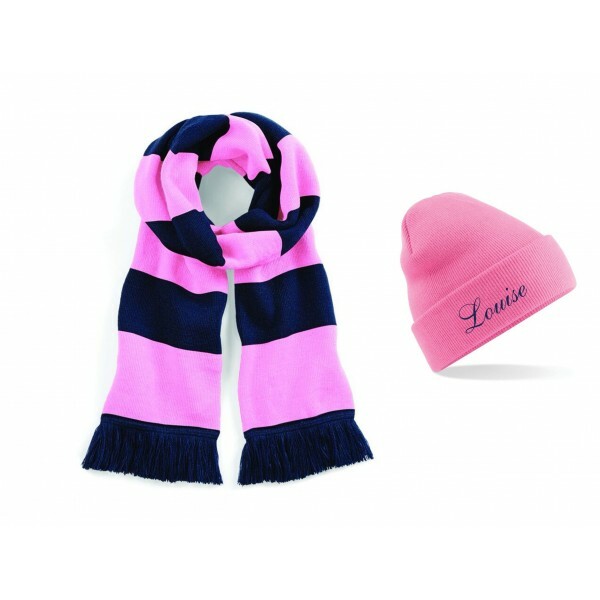 Turnover beanie hat in a choice of colours with your name embroidered to the front. Stripey scarf in soft touch acrylic, 18cm wide x 1.8 metres long! Just right to keep you warm when you are shopping!